The Commemorative Emigrant Trail is my go-to trail run in Truckee during Spring, Fall, and even into the Winter months. It features miles of rolling hills that are generally all runnable. There are just a couple of longer, slightly steeper sections that some will welcome as a nice excuse to power-hike. 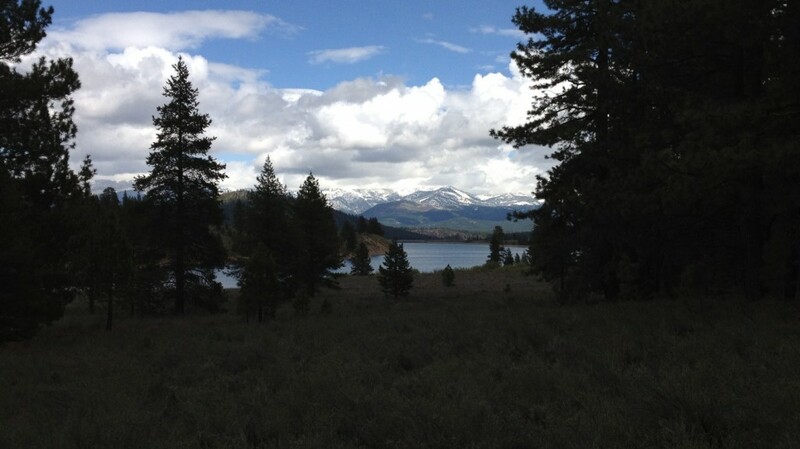 The Emigrant Trail is a very popular mountain bike route so schedule your run carefully. Avoid weekends in the summer and get out early if you plan to go mid-week during the peak summer months. 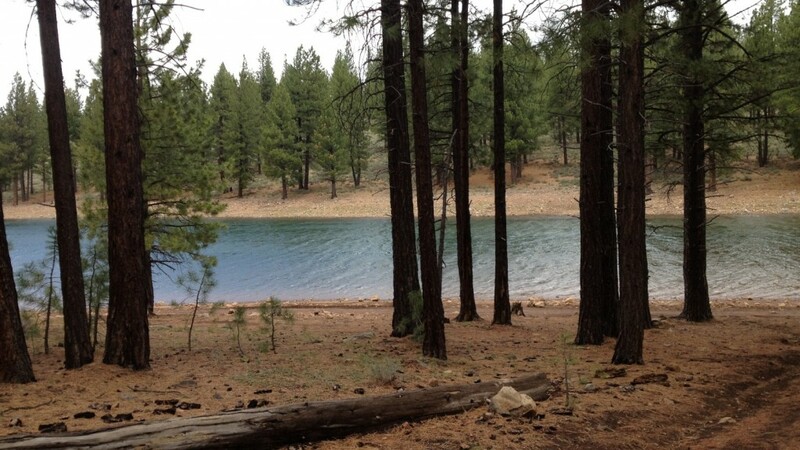 Donner Camp Picnic Area: Take Highway 89 North from Truckee about 2.5 miles. This USFS picnic area has ample paved parking and vault toilets (no water). It is not a campground, but rather a historical point of interest where part of the Donner Party camped and ultimately perished. Hobart Mills Trailhead: Continue 1.5 miles north of the Donner Camp Picnic Area on Highway 89. Immediately after the bridge over Prosser Creek there is a trailhead with dirt parking on the right. (Overflow parking is also available on the right side of the street.) There are no services at this trailhead. Stampede Reservoir: Less convenient unless you happen to be camping in the area, but there is a small trailhead located near Stampede Reservoir. The trailhead is off Dog Valley Road south of the reservoir, just past the end of the pavement. Leaving Logger Campground on foot out the “West Entrance,” turn left on the road until it intersects Dog Valley Road, then turn right and find the trailhead on your right. The trail is easy to locate and follow. It does cross some dirt roads, but there are virtually no trail intersections until the very end near Stampede Reservoir. This solitary trail intersection comes less than a half mile from the end, where you can decide to go to the Stampede Trailhead (take the trail to the right) or toward the boat dock and actually see the reservoir (take the trail to the left). Total out-and-back distance is about the same either way. Click on the links below to view interactive GPS maps for each route. Donner Camp Picnic Area to Hobart Mills Trailhead Out-and-Back: A little better than 5 miles total out-and-back. Donner Camp Picnic Area to Hobart Mills Trailhead Out-and-Back plus loop: Add the short interpretive loop (twice) for a total of 6 miles. Hobart Mills Trailhead to Hobart Mills Road: This 9-mile out-and-back route turns around when you reach the paved road crossing. Hobart Mills Trailhead to Stampede: This 17.25-mile out-and-back route is considered by many to be the “primary” section of the Emigrant Trail. Stampede Logger Campground to Hobart Mills Trailhead Out-and-Back: A nice 20-miler from the campground, includes a couple of miles on the road to-and-from the trailhead. Donner Camp Picnic Area into Tahoe Donner: The only significant climbing on the Emigrant Trail can be found on the section west of Highway 89 up Alder Creek. This 9-mile out-and-back route shows one way to access the Tahoe Donner trail system from the Emigrant Trail. 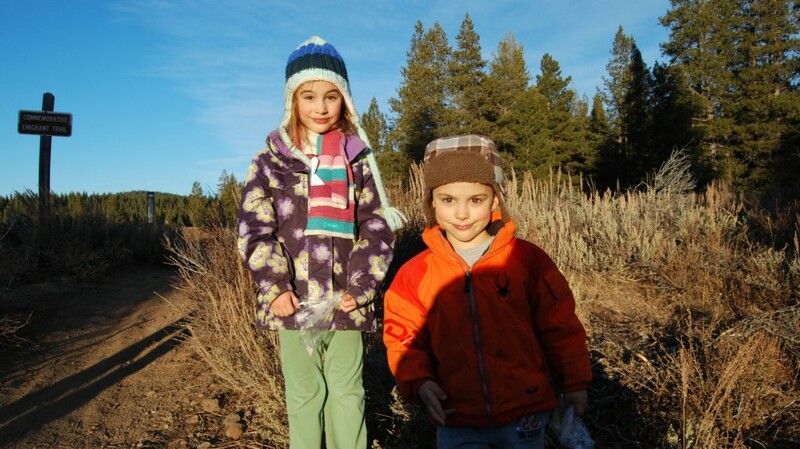 We rarely take family hikes on the Emigrant Trail due to the heavy bicycle traffic. However, a dry Winter gave us the opportunity to hike together on Christmas Day. Martis Wild Life Trail is a great trail run, some ups and downs but mostly flat. Just found your blog while searching for chi running in Truckee…great blog. I am a beginner just did my first half marathon last October and I plan to do it again this year at SJ Rock’n’Roll HM. Thank you so much for leaving a note & congrats on completing your first half marathon. I will try to write-up some Martis and Waddle Ranch runs later this summer! Some great info on here. We used your blog to plan our running around Truckee this past weekend, and it was great. Emigrant trail was really awesome. Thanks for posting! I’m so glad you had a fun weekend! Thanks for the note and happy trails to you! Looks like a very nice route. Any chance this will be runnable i.e. free of snow memorial day weekend 2017? I’ll be up in Olympic Village for the weekend and looking for a chance to get out for 15-20 miles. Yes, as of May 22, 2017, the Emigrant Trail is clear and runnable. Awesome, planning to try it out tomorrow.